Don't You Just Love the Autumn Season? The air gets a little cooler, but not yet too cold. The trees start to show their beautiful fall colors. Need Help with the Yard Cleanup? The Flowtron LeafEater Leaf Mulchers can help you regain control of your lawn. The LeafEater units will shred your leaves, grass and light yard waste, creating useful mulch for your lawn or garden. Scroll down for product information and ordering details for the Flowtron LeafEaters. Yard Clean-up Made Easy...Spring, Summer and Fall! The Flowtron Leaf Eaters Will help you get back your lawn. Portable, flexible units go anywhere you need them and run on ordinary household current. Scroll down to see the Leaf-Eater Models. As fast as you can load them, Flowtron's patented Leaf-Eaters shred wet or dry leaves, grass clippings - even pine needles - into nutrient-rich mulch or compost. Reduce the endless job of bagging leaves... or eliminate it all together by naturally nourishing your lawn and garden. 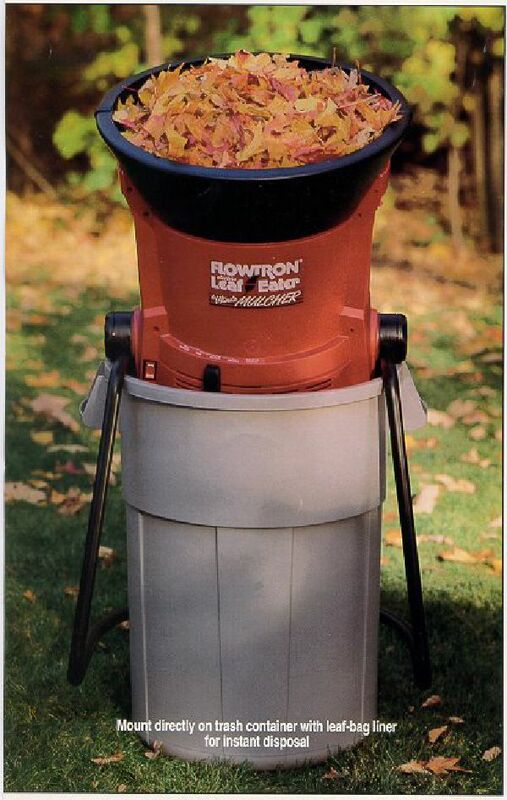 As fast as you can load them, Flowtron's patented Leaf-Eaters shred wet or dry leaves, grass clippings - even pine needles - into nutrient-rich mulch or compost. Portable, flexible units go anywhere you need them and run on ordinary household current. Paul A. Lauria enterprises, Inc. has partnered with Amazon.com for online sales of Flowtron Products. FACTORY DIRECT quantity discount orders are available, please contact Paul A. Lauria Enterprises, Inc. at 516-833-7078. - Just Shred and Spread! Reduce the endless job of bagging leaves ... or eliminate it all together by naturally nourishing your lawn and garden. As fast as you can load it, Flowtron's patented Leaf-Eater Plus shreds wet or dry leaves, grass clippings - even pine needles - into nutrient-rich mulch or compost. Portable, flexible unit goes anywhere you need it and fine, medium and coarse output settings suit every application. 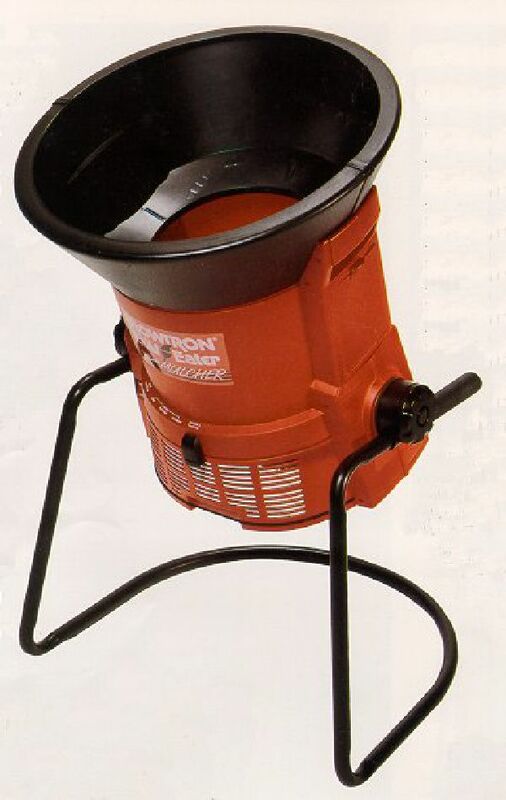 The Flowtron Leaf-Eater Plus stands alone or can be placed atop a trash barrel for efficient disposal. Runs on ordinary household current. Reduce 11 Bags of Leaves Down to One Bag! *Large plastic trashcan NOT included. The LE-900 is the BEST residential electric leaf mulcher available! We've been helping you have Bug-Free days since 1998! Paul A Lauria Enterprises, Inc. has been selling Flowtron Outdoor Products online since 1998! Paul A Lauria Enterprises, Inc. FACTORY DIRECT QUANTITY DISCOUNTS AVAILABLE for orders of 4 or more units in one order, Call 516-729-5922 to order multiple units. We welcome United States based corporate and government accounts. Please call 516-833-7078 for more info. Complete warranty and return/exchange information is sent with units. PLEASE NOTE: Product price and/or availability subject to change without notice. Copyright (c) 2019 Paul A Lauria Enterprises, Inc.
Website designed and hosted by 4D Web Services, Great Neck Plaza, NY.